Nothing is more relaxing than sitting in a balcony on vacation sipping a steaming cup of fresh coffee. But you have to be prepared. This is what you will find in your room…. If you are lucky. A tiny personal, hopefully clean way to make pre prepared coffee satchels. No Bueno indeed. But with a little planning this is the perfect way to end breakfast. Bring a French press and some good coffee, and you can use the hotel room crap tank to heat the water to make this scene appear. 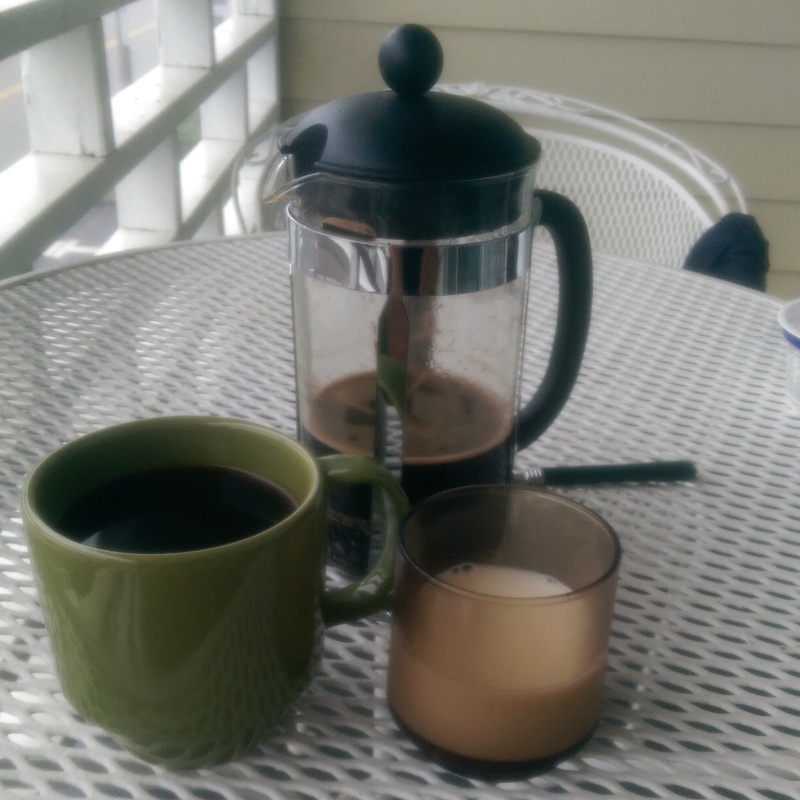 I should have a travel French press… Glass is rough to pack. Happy vacationing! 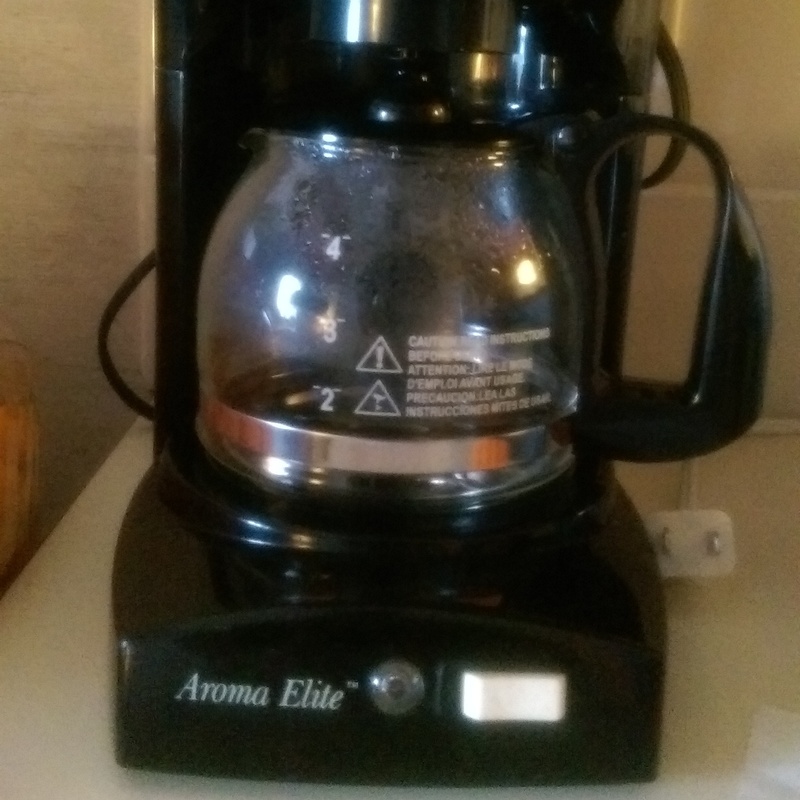 What tips do you have to make vacation coffee good coffee? As an aside, take this traveling opportunity to try new coffee shops! I have an espresso machine at home which I haven’t used in over three years – too much trouble. I, like you, turned to a French Press to sate my habit. That is until I discovered an AeroPress; a kind of manual espresso maker. I like the brew that comes out of it. Plus, coffee in about half the time of French Press. I added a reusable micro-holed screen filter to eliminate the paper filters. It collapses into a self-contained 4-5″ unit. And here’s the best news, it’s made of an unbreakable plastic – NO GLASS. Totally portable.